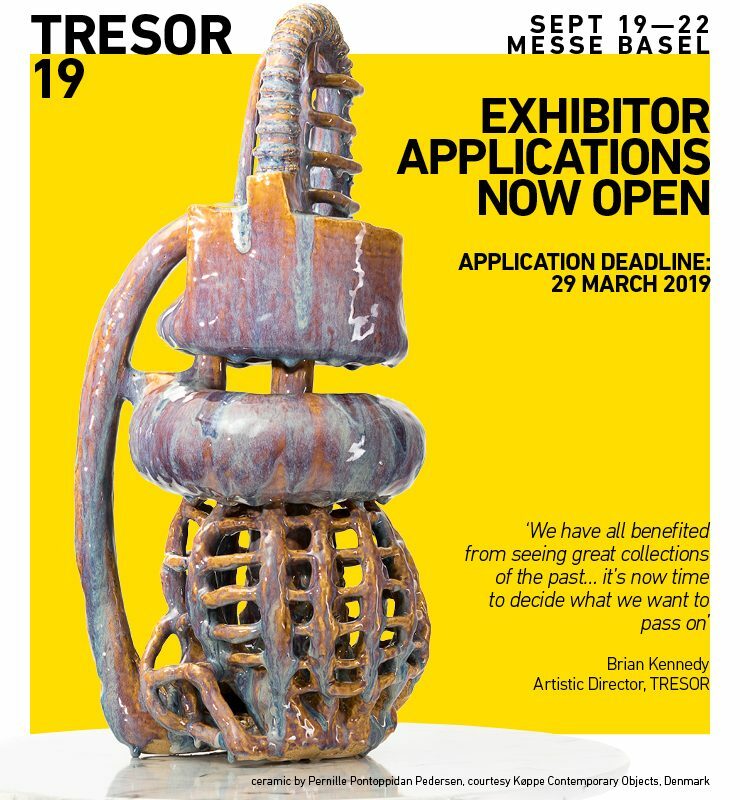 TRESOR launched to great acclaim at the Messe Schweiz in Basel, September 2017, showcasing 40 exhibitors from 12 countries and a total of 287 artists. Significant sales by private collectors and museum collections in this first year underscored the market potential of collectible contemporary crafts. TRESOR contemporary craft provides a platform for international galleries who present extraordinary works by today’s leading artists as well as up-and-coming names in the industry. Working in disciplines such as ceramics, glass, textiles, metal, wood and jewellery, the artists shown create truly unique pieces that honour tradition while exploring new materials and technologies. The majority of artists on display at the fair already boast strong international reputations and are shown in exhibitions and museum collections worldwide. Collectors can be confident in their purchases thanks to advice from respected galleries that have selected unique works of art or special limited-edition pieces for sale. This new generation of collectors is investing in works which will stand the test of time in our ever-changing cultural landscape.